New opportunities for Greek tourism are created by the prolongation of the negotiations for Brexit, protothema.gr notes in a recent report by Stefania Souki. The article notes that the British, which is also the second most important market of inbound tourism for Greece, can now move on with less stress in bookings for the summer of 2019. For example, following the official announcements for the Brexit extension until the end of October, TUI gives incentives to the British for new bookings to more than 40 European destinations with a discount of 100 pounds until April 15th. “We found that British customers have been holding back so far and we think it is a good opportunity for them now in order to take a…break from Brexit”, TUI officials point out. 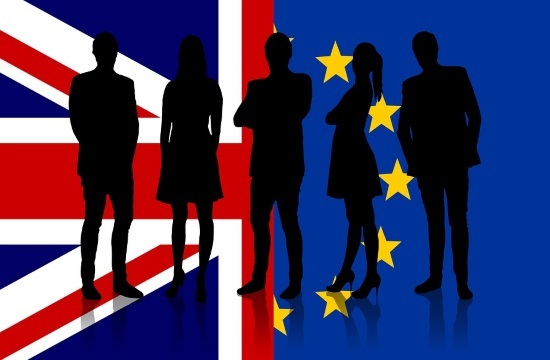 Overall, the travel industry has, after the latest developments, taken a deep breath as it is a no-deal Brexit would bring turmoil to the travel business, something that became apparent on the stock market if one looks the rise in shares of major companies in the industry such as TUI, Easyjet, Ryanair and the British Airways’ IAG Group. Furthermore, large tourist agencies urge the British to book their holidays now with last minute discounts for Easter too: “Over the last six months we have faced a major difficulty in convincing our customers that there is no issue in the planning their trips due to Brexit. Our message now is clear: it is time for them Britons to take back the control and plan their vacations in a stress-free state of mind”. The statements of the chief of the British Union of Travel Agents (ABTA) were along the same lines. He said that “the new date of October is a good news, since tourists know that it does not change anything in the short term, but in the longer term, uncertainty remains. The positive of the extension is that it gives more time to all sides to prepare themselves in and out of the travel industry”.